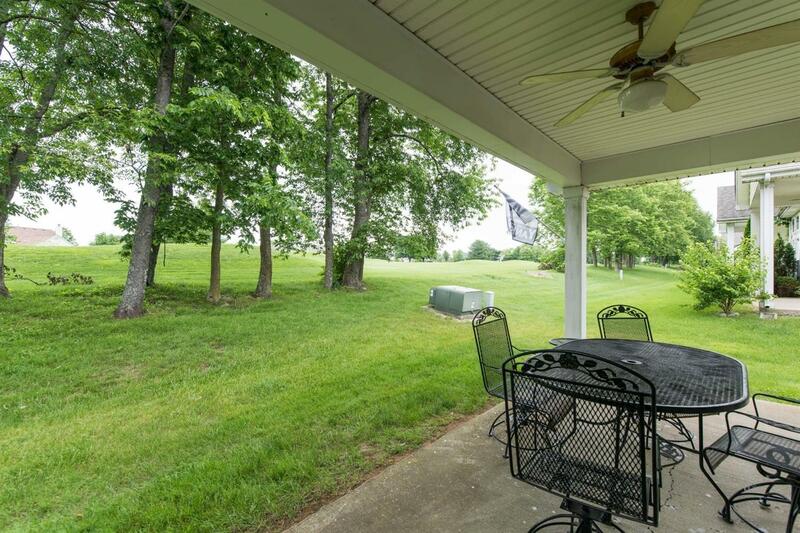 Perfect Golf Course location to enjoy your morning coffee on the covered back porch. End unit townhome with first floor master suite and laundry, plus a large 2nd bedroom upstairs with another full bath and spacious closet. 2 car garage, tall ceilings, hardwood and tile floors, fireplace, tray ceilings, crown molding, and built-ins. Conveniently located near dining, shopping, and interstate access; the location can't be beat. Come see what the maintenance-free golf course lifestyle is all about!